Off to Cornwall next week, so I'll be taking a breather on the old writing front. Got some books/mags to catch up on, including the latest issue of Black Static, and Jack Ketchum's short story collection, 'Peaceable Kingdom'. I've heard good things about Ketchum, so I'm really looking forward to reading this. 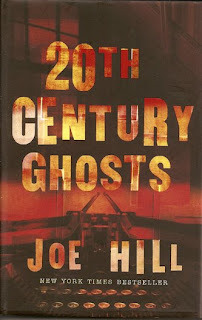 Just finished Joe Hill's '20th Century Ghosts', a very fine collection of short stories. The first three pieces were brilliant; 'Best New Horror', '20th Century Ghost' and 'Pop Art' are some of the best pieces of fiction I've read in some time.